The Entrepreneurs’ Organization (EO) holds a one-of-a-kind seminar as part of their initiative towards the entrepreneurs’ community in Bahrain. The EO hosted a very successful and leading figure in the world of entrepreneurship to share his insights in this field. 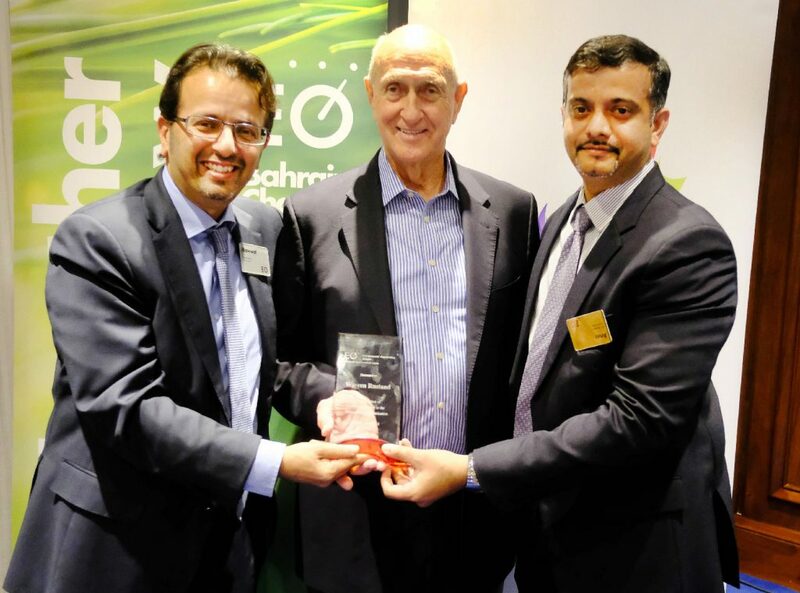 The event took place on the 15th of January at Crowne Plaza Hotel and served as the first EO learning event of 2018. 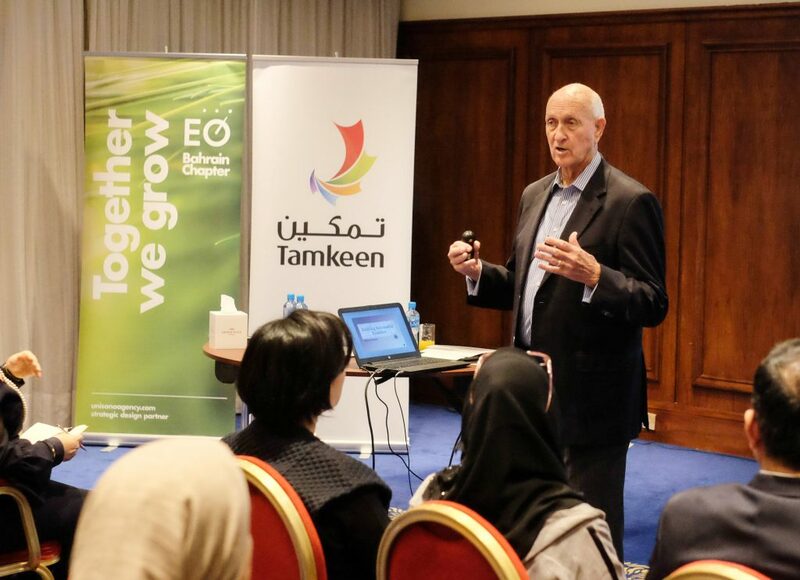 With attendance of 66 EO members and guests, the event was held in collaboration with Tamkeen. Tamkeen is a semi-governmental organization in Bahrain, established in 2006 as part of the country’s national reform initiatives. Tamkeen is tasked with making the private sector the key driver of economic development. In this event, Mr. Warren Rustand was hosted to share his experiences on the topic of maintaining a successful business and family life simultaneously. Mr. Warren is a very successful entrepreneur and educator who has served as the Appointments Secretary to several presidents of the United States. He is the past chairman of the World Presidents’ Organization and has served as CEO or Chairman of 17 companies and on the Board of Directors for 50 public, private and non-profit organizations. Mr. Warren’s seminar consisted of two sessions, which highlighted the topics of authentic leadership and building a successful family. He spoke about his experiences and advised attendees on how to maintain a balanced work and family life. Attendees were eager to learn from Mr. Warren as they interacted through asking questions and sharing their own personal experiences as well. The Entrepreneurs’ Organization is an international organization, with various chapters worldwide, that acts as a catalyst to enable leading entrepreneurs to learn, grow and strive to develop measurable success. With 167 chapter locations in 52 countries, EO supports leading entrepreneurs in all corners of the world. It was founded to help leading business owners on their path to greater professional success and personal fulfillment. EO is a global community that enriches members’ lives through dynamic peer-to-peer learning, once-in-a-lifetime experiences and connections to experts. Mr. Suhail AlGosaibi, President of The Entrepreneurs’ Organization, mentioned that ‘Hosting Mr. Warren was very beneficial to the entrepreneurs and young leaders striving to improve and grow the economy. His experience and advice was immeasurable and it was a true pleasure to have him speak at our event’. The EO will continue to hold events and seminars throughout the year that assist the development of the skills of entrepreneurs, students, organizations and many other key entities in our economic market.